So, the Colours of Blue…intriguing title isn’t it? And I wondered what it meant, then found out about Sara’s “colours”. She sees colours in addition to what everyone else sees, and they have meanings to her – happy, sad, trusting, friendly, dangerous etc but as she grows up they disappear. Its strange how so many “oddities” of childhood like this go as we age – maybe its just that ridicule that comes from others, or the belief that if science can’t explain it then it can’t be true..I don’t know but I do know there’s a whole branch around this phenomenon called synaesthesia. Wiki gives some interesting info on it – I’d only heard of numbers and letters having colour for some people but there are huge variances. So I was interested to see how it worked in the novel. Sara – oh I loved her, her dad was a gem, supportive of her colours as so few parents are when their child is “different” in some way. She was so sad that she’d trusted Greg with her heart, and he let her down. And she felt betrayed, violated, lost and really wasn’t sure what to do or where to go next. Losing her job too was another burden she didn’t need, so when the invite to the week long sort of hen/stag combined party for her sister at the ranch came she needed that break. She didn’t need though to find out that the cheating ar se ex, Greg, was going too – but her sister’s father in law to-be was friends with his dad, and the two were hoping it would make for some fence mending. Arrogant Greg was convinced Sara would fall at his feet, so Yay for the delicious Rick who was at the ranch. So some great characters, fabulous link in the Colours hook, love and heartbreak, and all in an incredible, vibrant, amazing setting – why didn’t I love this book? I liked it – a lot – just didn’t love it. Its a personal thing what we like in books, what each individual reader wants, and thankfully we like vastly differing things so there’s always a range of stories available. For me I wanted more Rick and Sara. The others were interesting, and the info on them provided the setting to place them in the story, but I got much more of them that I needed, which left less room for Sara and Rick. I didn’t need so much detail on Matteo’s history and family, on Bastiaan ( sp?) and his family, on the couple who started the ranch, on Sam – she needed a bit of her story but I didn’t need to read that much of her. It all provided excellent reading and colour but wasn’t what I needed. What I did need was more contact between Sara and Rick, more build-up and flirting, that tension that comes from shared glances and tentative touches. I wanted a bit more drama too over the Rick/Kelly/Greg situations – they were mentioned and then over it seemed, and I need my drama to drag out. I soak up misery like a sponge, then feel so good when it all comes right and the sadness washed away. I loved the way that part played out, and give Nancy a treble Martini for her actions when the People ran that article. That was such a great payback – made me feel great! Its well written, the ranch was so perfectly described I felt as if I was there, but its just that I found myself skim reading to get to more of Sara and Rick. 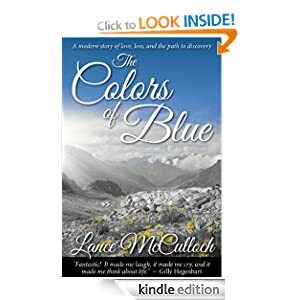 That’s just me remember, and my preferences, so if you like a gentle slow discovery romance set in a real place (the ranch does exist, see Lance website) then this will be perfect for you. Written by husband and wife team Carol Goodman and Lee Slonimsky. 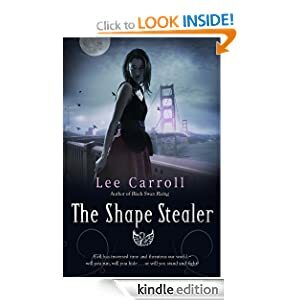 Though I hadn’t read the first two books in this trilogy I simply loved Carol’s Fairwick Chronicles, and this looked to be a similar type of book. So I read the samples of books one and two – I usually find that’s enough to allow me to keep up when I jump into an existing series – and went from there. This book is really complex though, and in honesty I needed to read those earlier books to fully to appreciate the story. I found myself floundering over events, trying to understand the complex time travel machinations in the book, and not sure of the characters. I need to feel “there” in the book, usually I’d be Garet in my mind, seeing events alongside her, but I felt a bit detached because there was so much I just didn’t understand. That’s my fault for thinking I could pick up such a complex book. My Bad 😦 Still, for those who love a story that has more than just a boy meets girl romance, and who want snippets of history intertwined with vampires, and other supernatural creatures this trilogy may be what they’re looking for. Just don’t think you can pick up book three though as I did – you really do need to read books one and two to fully appreciate the story and the way its written. Apart from the difficulties in following the story though, I had specifics I really wasn’t keen on – the poetry…it didn’t add anything I found, and in fact I ended up skipping it each time I came to it. Then the romance – it’s not classed as a romance novel, but somehow I was expecting a bit more than we got. Young Will was just such a put off, he really read like a typical teenager, arrogant and foolhardy, and not the “better person” Old Will seemed to think he was. Then there was Old Will – we met him eventually, but there didn’t really seem to be much closeness between him and Garet considering all they’d gone through to be together…it could have been though that I was skim reading by then, being so lost that I simply couldn’t read the book in the way I usually would. Stars: It’s difficult to assess really – but on how I personally enjoyed it – and that’s how I always rate – this is just a two/three star. It is very well written, it is a sweeping, eventful story and yet I simply didn’t gel with it.